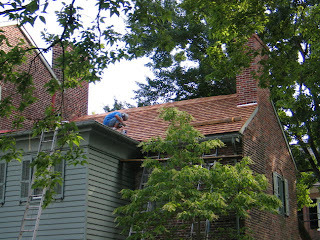 The roofers returned on Friday to begin the rear side of the Dutch House roof, but the weather didn't cooperate. 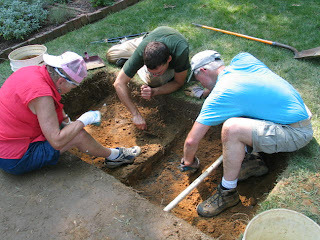 So they'll be back on Saturday to begin. 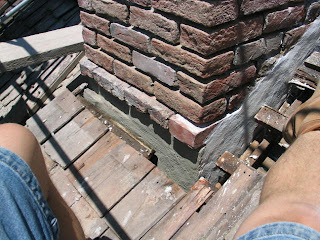 A couple things about the front side of the roof...All in all it is a pretty straightforward roof on the front side with the only flashing required at the central chimney and where the roof meets the neighbors wall (we're attached on one side). 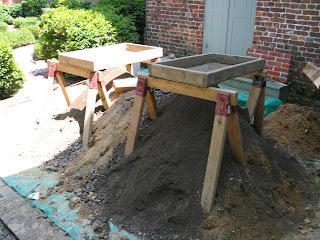 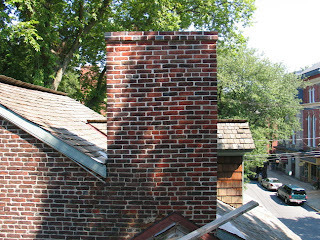 The masons were also here on Friday to work on the west chimney of the Amstel House. 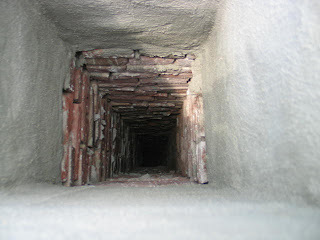 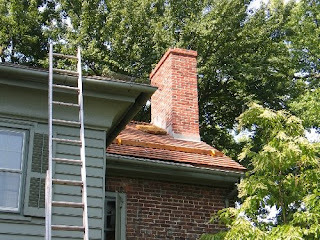 As I mentioned in a previous post the chimney is need of more work than we thought. 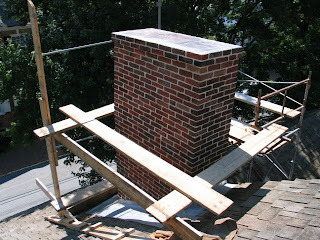 We'll be building a cricket to prevent water infiltration at the upper base of the chimney from rain and melting snow. 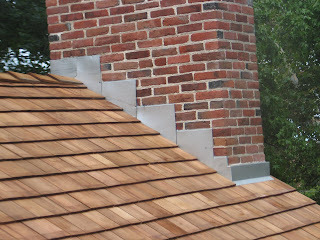 That job will be completed by the roofing company. 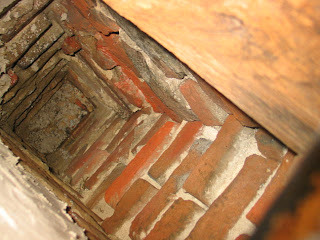 So we'll need to coordinate the work of the masons and the roofer. 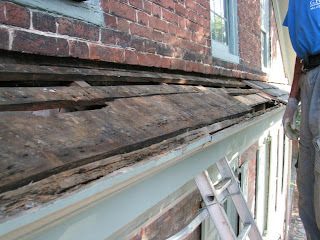 Hopefully, we'll tackle that next week sometime. 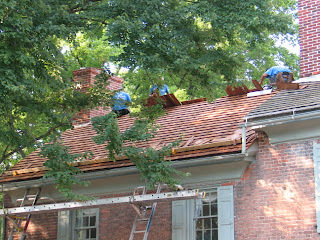 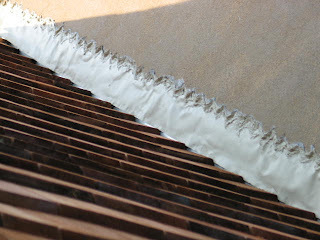 The roofers came back on Saturday to complete the tear off on the rear side of the Dutch House. 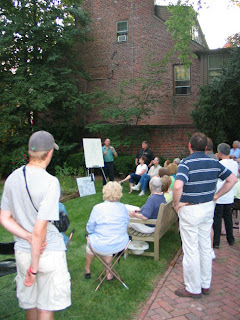 I was traveling with the Society's annual bus trip to Gettysburg, PA so will see the results on Monday. 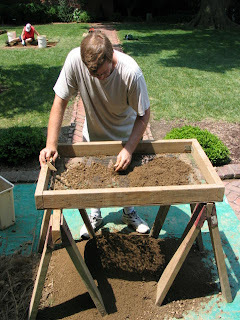 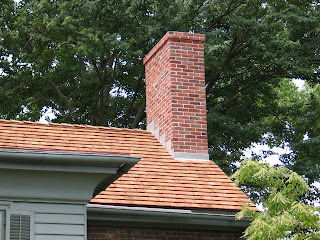 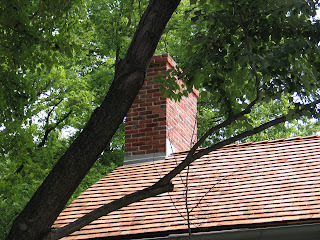 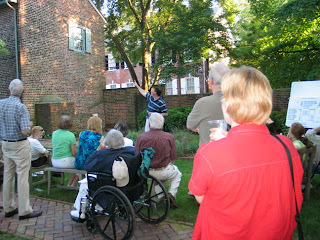 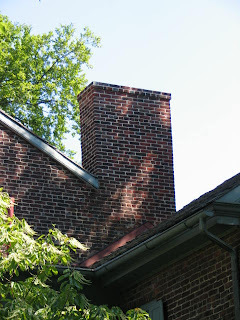 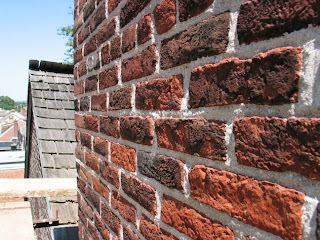 Monday is our NCCHAP workshop that discusses historic fireplaces and chimneys. 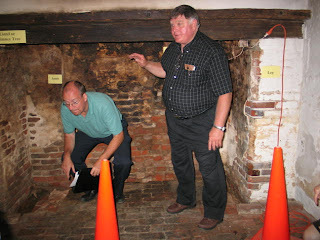 We'll limit the size of the audience to 25 people to allow everyone to see the kitchen fireplace.